This week on the podcast I got a chance to interview author Marc Cushman. 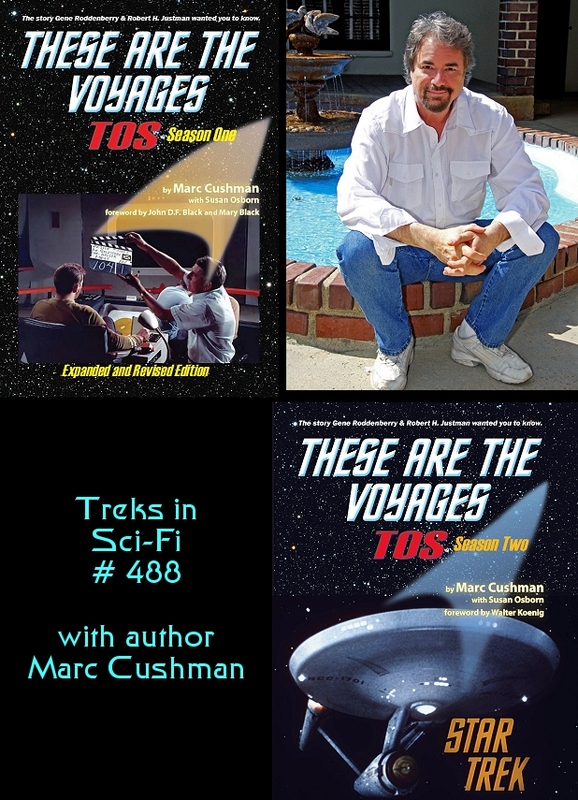 Marc is the author of a series of books on the making of the original “Star Trek” series. The books are called “These Are the Voyages” and they chronicle in great detail the creation, production, and some amazing behind the scenes information on the making of the series and each episode of TOS. Marc and I chatted for about an hour on how he got started on this huge project, how he gathered his information and pieced it all together to form some amazing volumes of work on just what it took to get the very first “Star Trek” series made. It was no easy task and Marc has some great insights and shares some of what he put into the books during the interview. Getting two big fans of the original series together to chat about our beloved series made the interview very fun and enjoyable. Links are below on where the books can be ordered. I urge everyone to pick the first two volumes up now (the season three volume will be out this fall). And if you order at the top link below, Marc will sign your copy too. I want to thank Marc for taking the time for the interview and wish him the best of luck in his future projects. Excellent interview! Ordered my signed copy today for Season 1! Can’t wait o read it!